Android 4.4 KitKat has been washing across Sony's Xperia lineup like a tidal wave, and the manufacturer has a little hump day surprise lined up for three additional smartphones, with plenty more on the way. 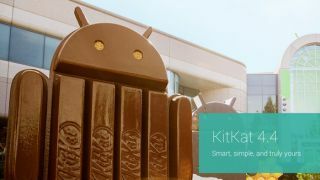 Sony announced the release of an KitKat software update for the company's Xperia Z Ultra, Xperia Z1 and Xperia Z1 Compact smartphones, finally delivering the latest and tastiest flavor of Google's mobile OS to date. Although Sony notes "timing and availability may vary by market and carrier," the KitKat release is at least official as of March 19, and promises to bring a host of improvements to Xperia owners. The changes range from tweaked Status Bar and Quick Settings along with a user interface echoing that of the new PlayStation 4 and updates to all of Sony's built-in apps, including the Walkman and Album and Movies apps with Sony Entertainment Network cloud integration. Sony smartphone fans will also will able to dress up their Z Ultra, Z1 or Z1 Compact with new downloadable Xperia Themes, which can spruce up the user interface with upwards of 280 fresh assets in a variety of styles. Catch all the latest news on the Samsung Galaxy S5!